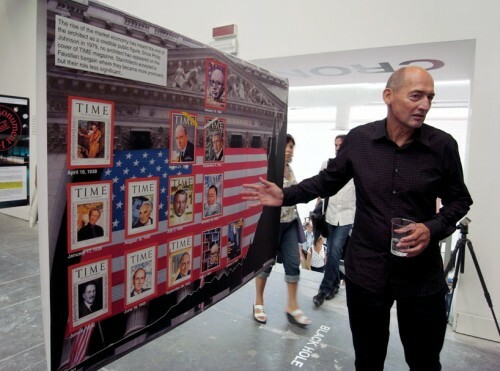 Rem Koolhaas at the Cronocaos exhibit (photo courtesy Dutch Art Events). On Wednesday, May 4, Koolhaas delivered a lecture at NYU based on the tension between preservation and destruction, or, in Rem-speak, “Cronocaos.” Zach Schwanbeck, a project manager with the NYC Economic Development Corporation, attended the sold-out event (tix were $25). 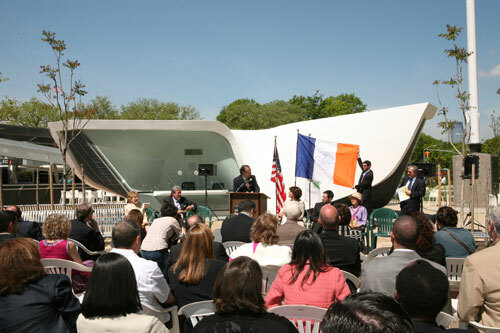 “As someone who has to work with and around a lot of landmarked properties, I think it’s interesting to consider what counts as ‘historic’ and what counts as ‘preservation.’ Rem talked about the speed at which we’re preserving buildings today and how there has to be an understanding of history but also the future,” said Schwanbeck. Underpinning the argument for a smarter approach to preserving (and destroying, when necessary) the built environment was Koolhaas’ stat that twelve percent of the land on the planet is now “protected” under some form of preservation guidelines. Rem took the opportunity to criticize “starchitects” (cue slide of grinning Daniel Libeskind with Freedom Tower model), arguing that this elite group is no longer truly contributing anything of value to the built environment. 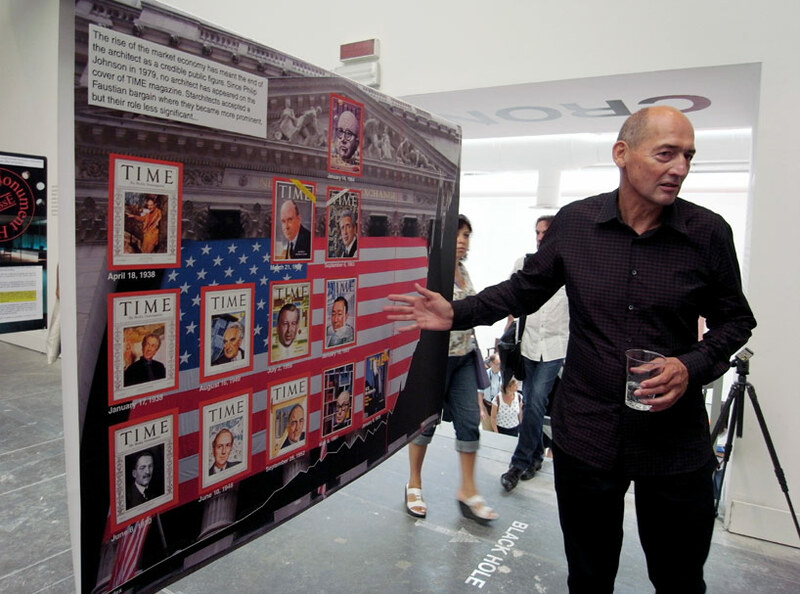 To make the point, Koolhaas considered architecture through the eyes of the consumer media, specifically Time magazine: no architects have appeared on the cover since the ’60s. The lecture kicked off the Festival of Ideas and an associated Cronocaos exhibit, recycled from the 2010 Venice Biennale, is mounted in a gallery space next door to the New Museum through June 5. 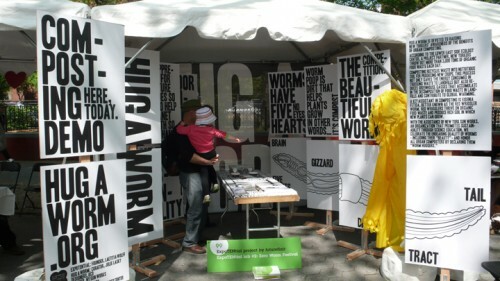 ExpoTENtial's "Hug a Worm" booth at the Festival of Ideas. On Saturday, May 7, we trolled the streets around the Bowery, checking out an array of Festival booths and installations, and bumped into Bjarke Ingels riding his bike (so Danish! ), fresh from holding forth at one of the weekend’s many panel discussions. We ended up at Booth 99 in Sara Roosevelt Park, where ExpoTENtial had set up their “Hug A Worm” booth about urban composting. It’s one of ten “labs” that ExpoTENtial is curating over the next several months (on tap for Saturday, May 14: Urban Alchemy, 8-10pm on the corner of Lafayette and Bleeker). 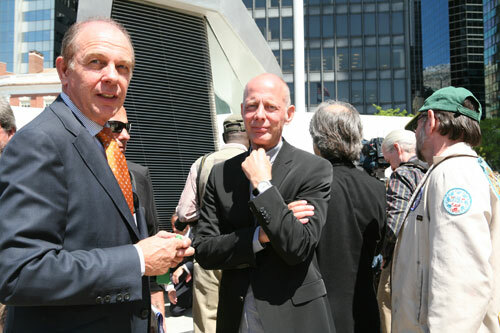 Soon-to-be Dutch Council General Rob de Vos with pavilion architect Ben van Berkel. 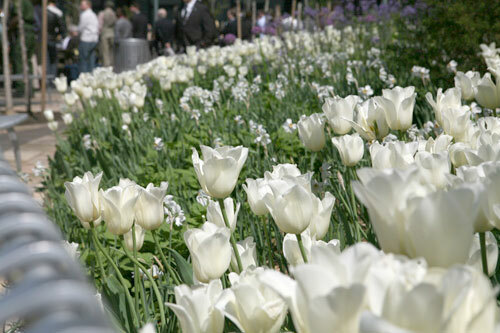 Tulips, tulips and more tulips. Despite years of unwavering support from the maestro, Armani Casa, the home furnishing line from Giorgio Armani, has downsized considerably by closing their last stand-alone store in the United States and moving operations into the D&D Building on Thursday, May 13. The opening on the 14th floor was a subdued affair with the designer’s black-clad loyalist milling about the sober, yet glossy surfaced space with champagne flutes in hand. The modest scale of the new showroom seems a far more realistic approach to the New York co-op owner than the over-the-top-soaring-ceiling loftiness of the old Soho outpost. The company already closed their LA store and moved into a showroom at the Pacific Design Center. The new showrooms will sell everything from plates, to poufs, and even patios, as the company will continue to offer in-house interior design services. 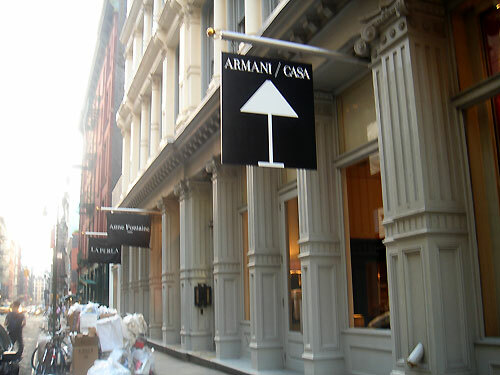 Out with the old: Armani Casa Soho to close, new showroom opens at D&D. Coutesy Kramchang.